In a game heard right here on 951 The Bull last night, the New Hampton Chickasaw boys basketball team was at home for a non-conference game against the Mason City Mohawks. The Chickasaws rode the hot hand of Keegan John to a one point victory as they picked up the win 63-62. John was six of eight from the floor including three of four from three-point range and he finished with 26 points to lead all scorers. Jake Zwanziger added 16 points for New Hampton and Tyler Rentschler had 4 assists. The Chickasaw boys begin their season at 1-0 and they will play again tomorrow as they will travel to Cedar Rapids to play Washington High School. The New Hampton Chickasaw girls basketball team will be in action tonight as they will kickoff their Northeast Iowa Conference season at Waukon. The Chickasaw girls are 0-1 overall this season and the Waukon girls come in at 0-1 as well. Tip-off for the Varsity game will be at about 7:30. The Nashua-Plainfield girls and boys basketball teams will host Northwood-Kensett tonight in a Top of Iowa Conference girl/boy double-header. The Nashua girls come in with an overall record of 0-2 and they are 0-1 in conference play while the Viking girls are 0-2 and 0-1 as well. The Husky boys are 0-1 overall and in the conference so far and Northwood’s boys have identical 0-1 records. The girls game tonight will start at about 6:15 and the boys game will follow. The Turkey Valley Trojan girls and boys basketball teams will be on the road tonight for an Upper Iowa Conference girl/boy double-header against Central Elkader. The Trojan girls are 2-0 overall this season and come in at 1-0 in conference play while Central’s girls are 0-3 and 0-1. The Turkey Valley and Central Elkader boys are both 1-0 overall and in league play. The girls game will tip-off at about 6:15 and the boys game will start at around 7:30. The Sumner-Fredericksburg Cougar girls and boys basketball teams will host Wapsie Valley tonight in North Iowa Cedar League play. Sumner-Fred’s girls are 1-1 overall and 0-1 in the conference with Wapsie’s girls sitting at 1-1 and 0-1 as well. This will be the first game action for both boys teams. The girls game is set to begin at 6:15 with the boys game to follow. The South Winneshiek Warrior girls and boys basketball teams will be on the road tonight for an Upper Iowa Conference girl/boy double-header at MFL-Mar-Mac. The Warrior girls are 0-1 this season and MFL’s girls are 2-1. The South Winn boys are 1-1 overall this season and the MFL boys are 0-1. 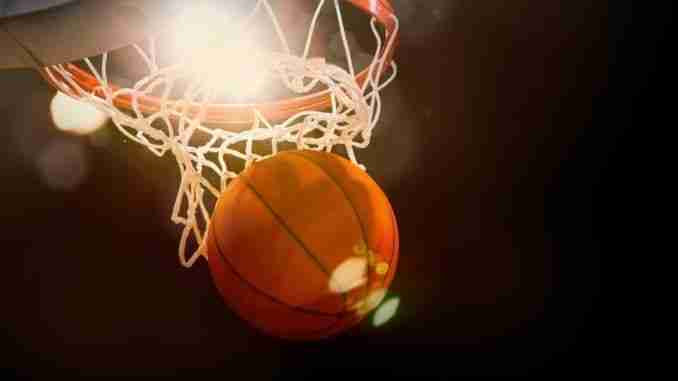 Tip-off for the girls game will be at around 6:15 and the boys game will be played after the girls game is done.